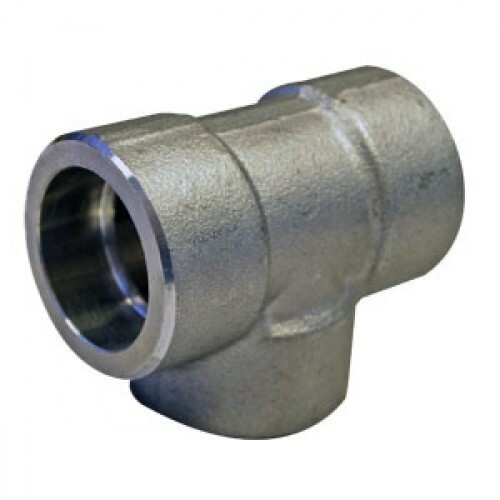 Backed by years of industry experience, we are engaged in offering a premium quality range of Socket Weld Tee. Established in the year 2002 at Vadodara (Gujarat, India), we “Pipe & Tube Company” are a Partnership firm engaged in trading an excellent quality range of Industrial Valve, Industrial Flanges, Industrial Pipe, Pipe Fitting, MS Angle, MS Plates, etc. These products are sourced from reliable market vendors such as Jindal, Asian, TATA, etc and can be availed by our clients at reasonable prices. Under the guidance of our mentor "Mr. Gaurang Shah", who holds profound knowledge and experience in this domain, we have been able to aptly satisfy our clients.